Ding! The fight is on in Guacamelee! The popular Metroid and Castlevania (or Metroidvania, as some are calling it) inspired 2-D style game is coming to Nintendo Switch. But this isn’t just the first Guacamelee, this is: Guacamelee! Super Turbo Championship Edition. 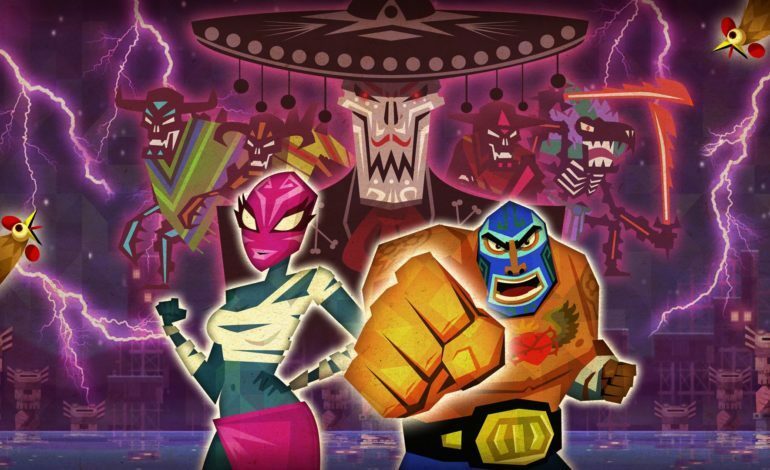 Earlier today, the game developer DrinkBox, announced that Guacamelee! Super Turbo Championship Edition hit the Nintendo Switch stores this morning, and is currently available for purchase. Also, it was revealed that Guacamelee 2 would be arriving later this year some time in December. The version that came out today is the original Guacamelee! with all of its DLC contents attached. This was the version that hit PS4, PS Vita, PC, Xbox 360, Xbox One, and Wii U in 2014, and has finally made the adjustments to be a part of the family on Nintendo Switch. Guacamelee 2 had come out for PC and PS4 four years later, but Nintendo Switch players will only have to wait a couple more months before they get the chance to play. The game itself takes on the inspiration it had gained from Metroid and Castelvania, classic 2D side scrolling puzzle adventure games with unique bosses and creatures to fight. This includes gaining more difficulty as the game goes on, requiring the player to find upgrades and better weapons. In fact, in Guacamelee!, players can find Chozo statues for upgrade, a nod to the original games it pays homage to. And the Chozo statue is just one of many Easter Eggs within the game itself. Bright, colourful, and a lot of fun. Players can obtain all the trophies available to gain the title of #1 Luchador. 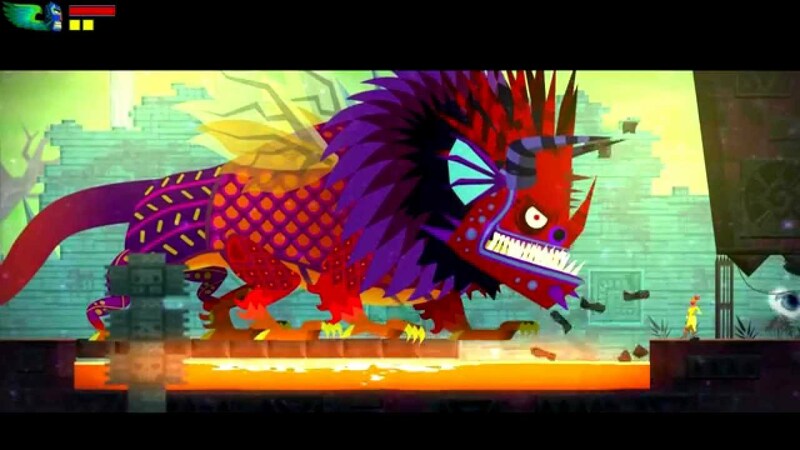 There doesn’t seem to be anything missing from the Guacamelee! Super Turbo Championship Edition release. It’s currently available on the Nintendo E-shop for $15 USD, and can be downloaded today. Guacamelee 2 will be available for purchase this December for the Nintendo Switch as well.